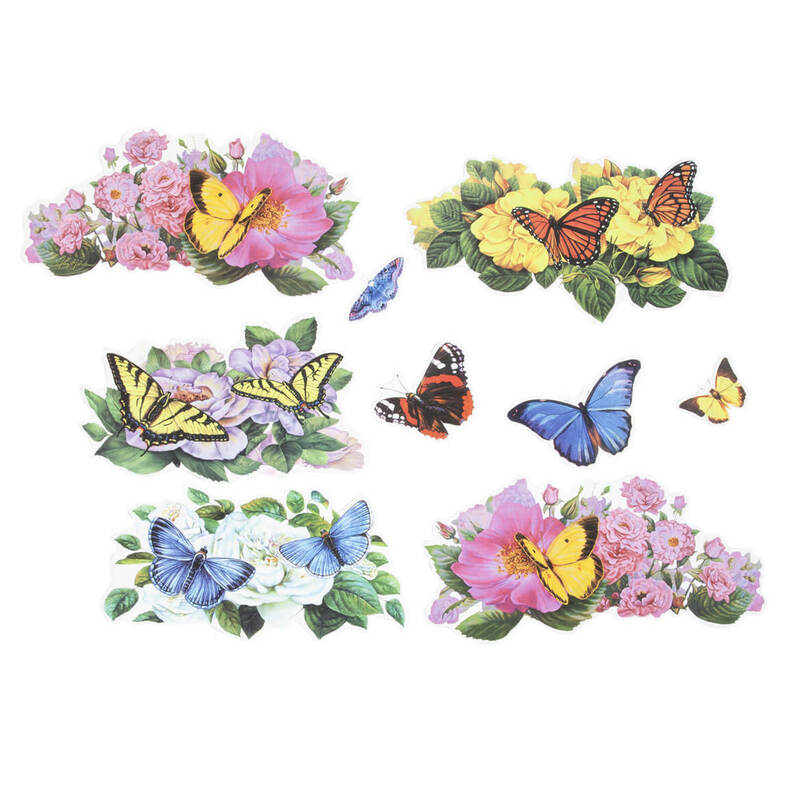 With 30 butterfly and floral magnets to arrange at least 100 different ways, you can transform a plain garage door into your own spectacular spring mural! Durable plastic with magnetic backs. Set includes 30 magnets from 3-5″ high. 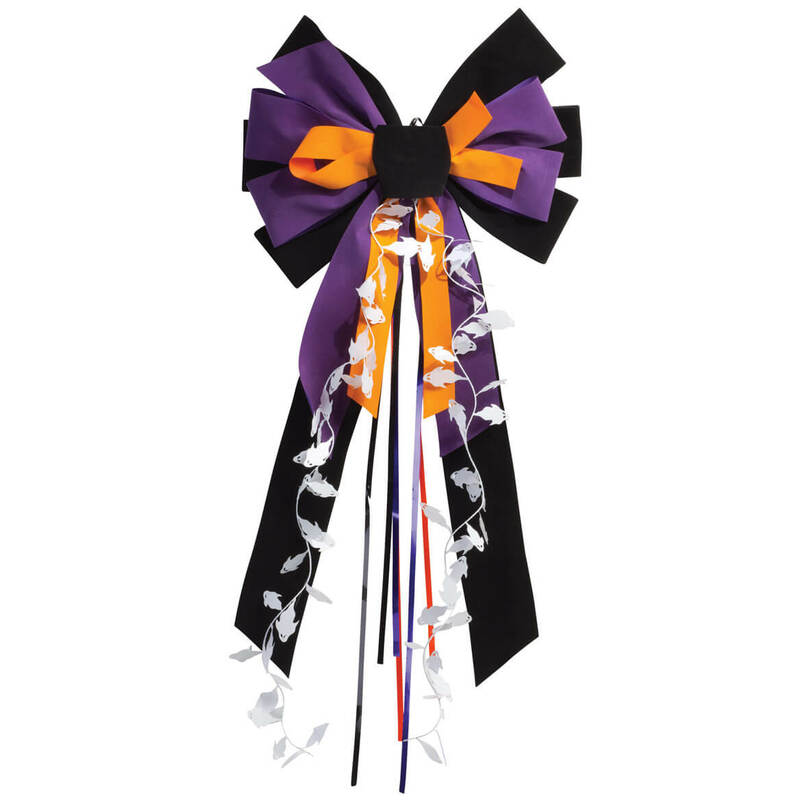 Add festive style in seconds with our big, beautiful Halloween velvet bow! Flaunting seasonal colors and sparkling accents, it’s a quick, spooky update for doors, fences, planters, lamp-posts and more. Includes wire for easy securing, indoors or out. 13″ wide x 27″ long each. Our pretty, scalloped suction cup window thermometer attaches to your window’s exterior so you will always know the outdoor temperature. The bold, easy-to-read numbers show degrees in both Fahrenheit and Celsius, and the see-through vinyl won’t block your view. 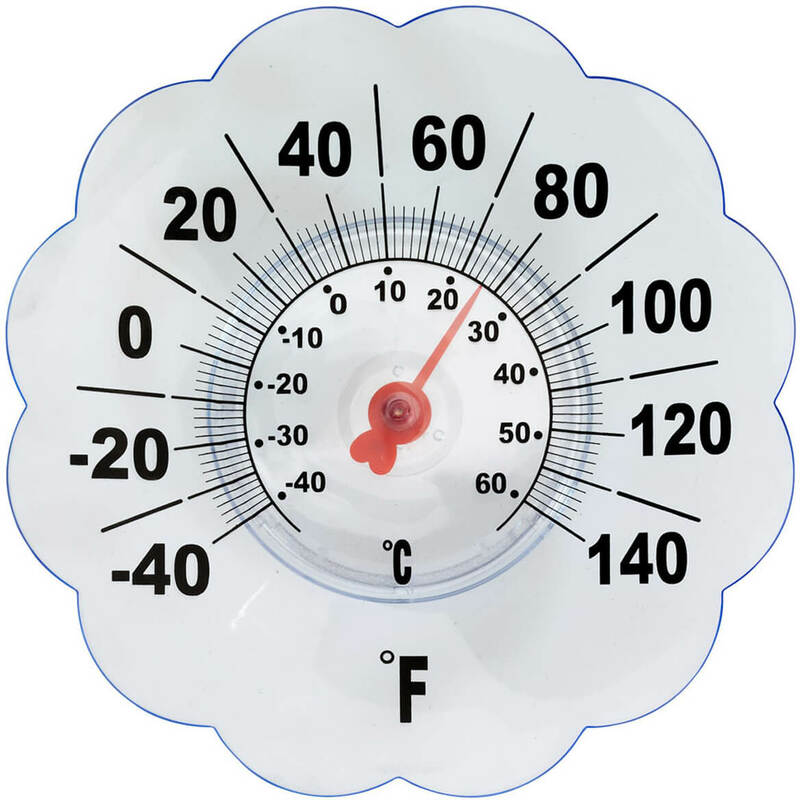 This outdoor window thermometer measures 7″ diameter. 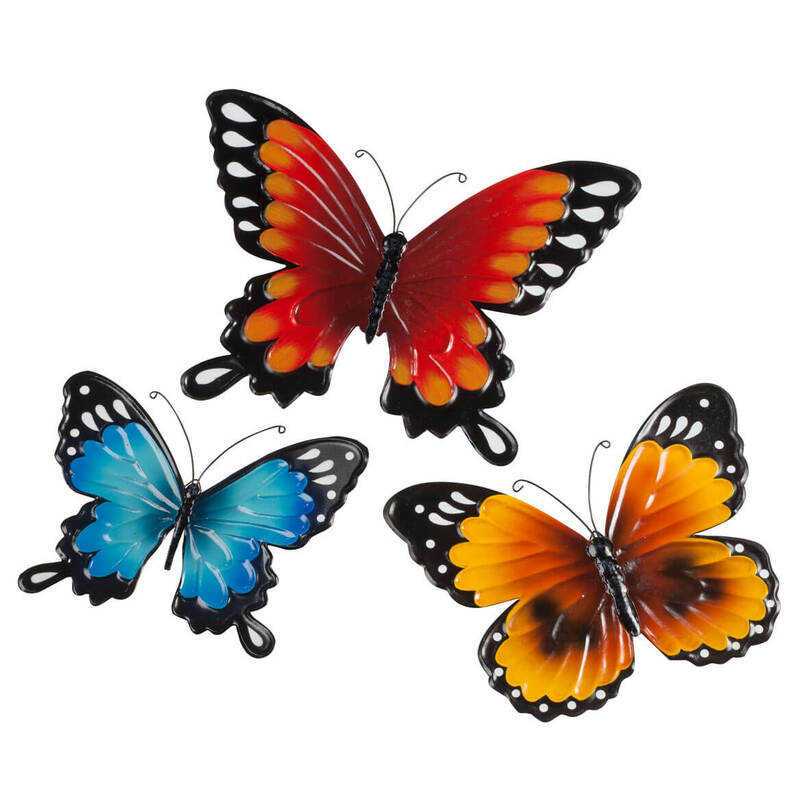 On wings of whimsy, these artful metal butterflies add color and style wherever displayed—together or separately, outdoors or inside. Painted with extraordinary detail and dimension exclusively by Maple Lane Creations™, the set of 3 includes 7″ diameter, 8″ diameter and 10″ diameter butterfly wall decor—each with flat back and triangle hook for hanging. 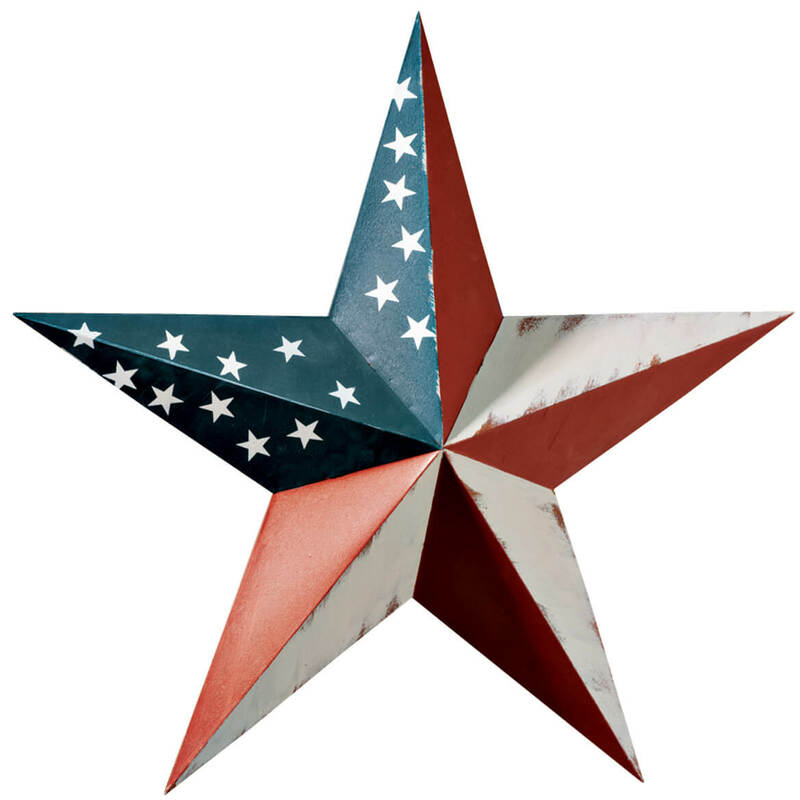 The American barn star was originally a good luck symbol for American farmers; now, the barn star is a patriotic outdoor accent in red, white and blue! A Maple Lane Creations™ exlusive, this American barn star includes hook for displaying on home, garage or garden shed. Metal. 18″ long x 18″ wide. 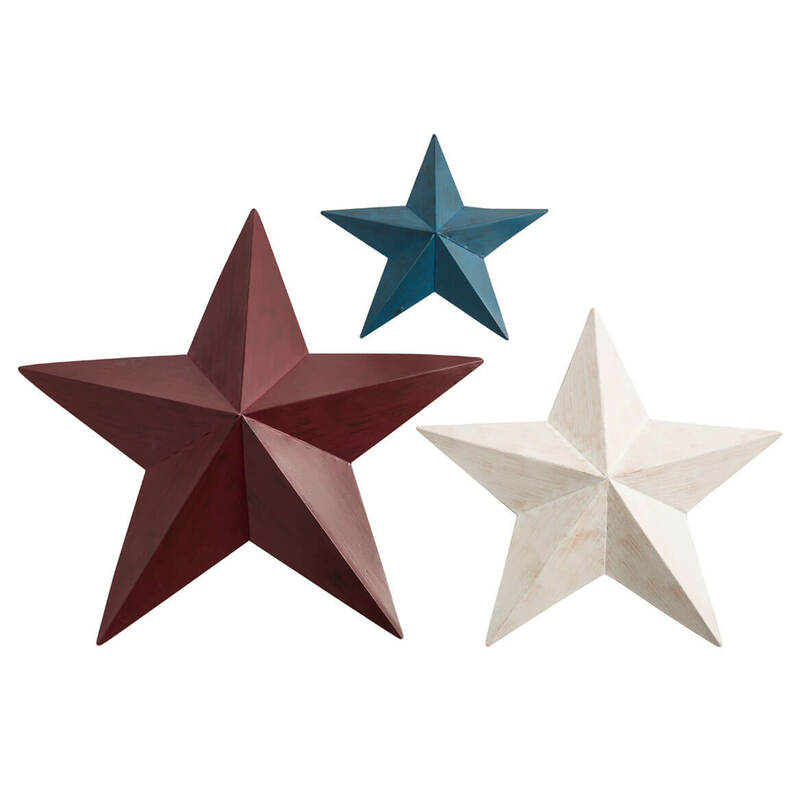 Featuring 3 metal stars (1 red, 1 white, 1 blue), this trio offers endless options for patriotic display! Boasting a rich history, the barn star was once a good luck symbol for American farmers and remains a timeless symbol of our country’s heritage. Our red, white & blue barn stars by Maple Lane Creations™ includes 3 rustic stars in different sizes: 23″ dia. red, 17″ dia. white and 12″ dia. blue stars. 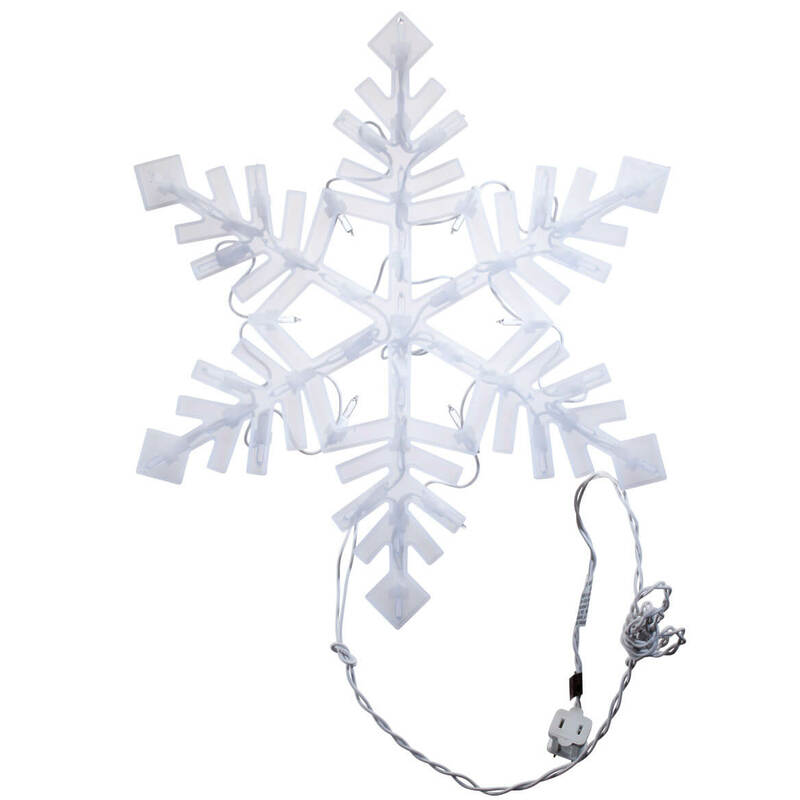 Perfect for year-round display on fence, home, garage, garden shed or anywhere inside, each durable metal star features a hook on top for easy hanging. All 3 nest together for storage. 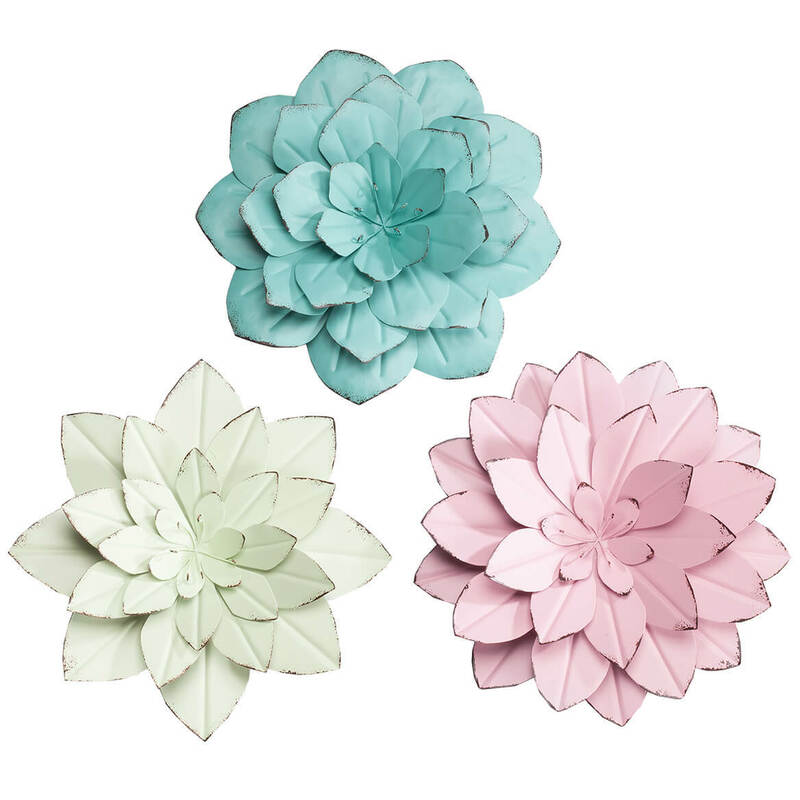 Beautiful wherever displayed, these Metal Pastel Flower Wall Hangings by Maple Lane Creations lend instant color and spectacular style to any setting … indoors or out! Boasting exclusive design only found here, each one is crafted of metal with detailed brush strokes and 3-D petals, lending artful texture and depth to any wall. Hang the trio together or separately to add color to an indoor room or brighten a fence, doorway or patio wall outdoors. Set of 3 includes mint green, pink and turquoise. Each 9 1/2″ dia. flower includes a hook for easy hanging. 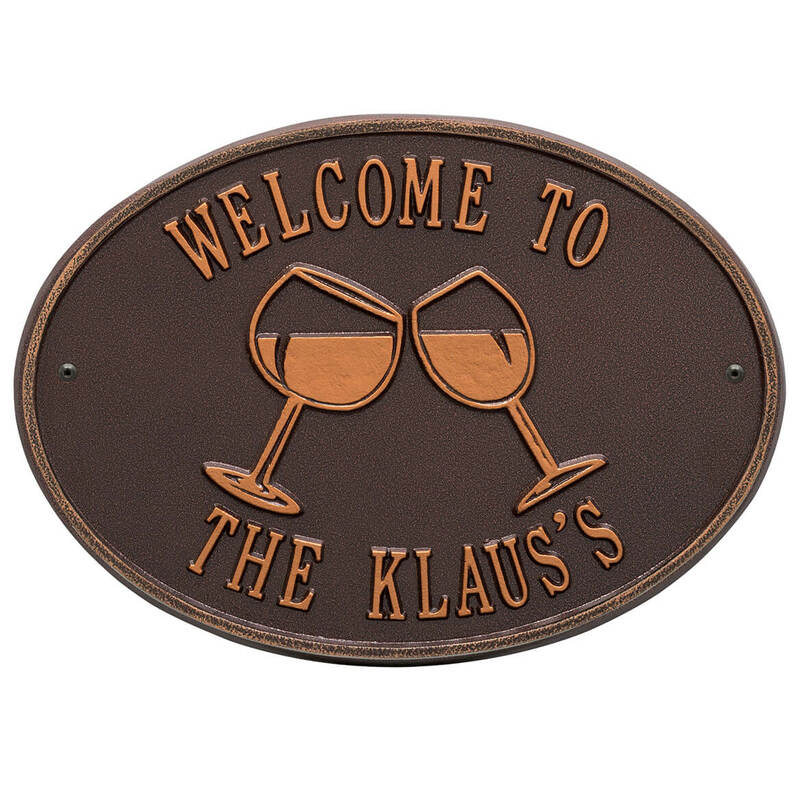 Welcome everyone in style with this personalized Wine Glasses wall plaque! Immediately upon arrival your guests will recognize it’s time to relax and enjoy the company. Made from environment friendly recycled aluminum these signs are weather resistant and will outlast any conversation you can have. Each sign is custom made in the USA to your specifications giving you the ability to create the perfect greeting for your guests. Keep the good times going at your patio, deck, backyard or home bar and order your custom Wine Glasses sign today! Manufactured from high-density cast aluminum alloy. Alumi-Shield™ Protects against the harshest weather and environmental elements. Extends the product life and maintains the look and function. Specify personalization: limit 2 lines/16 characters each. 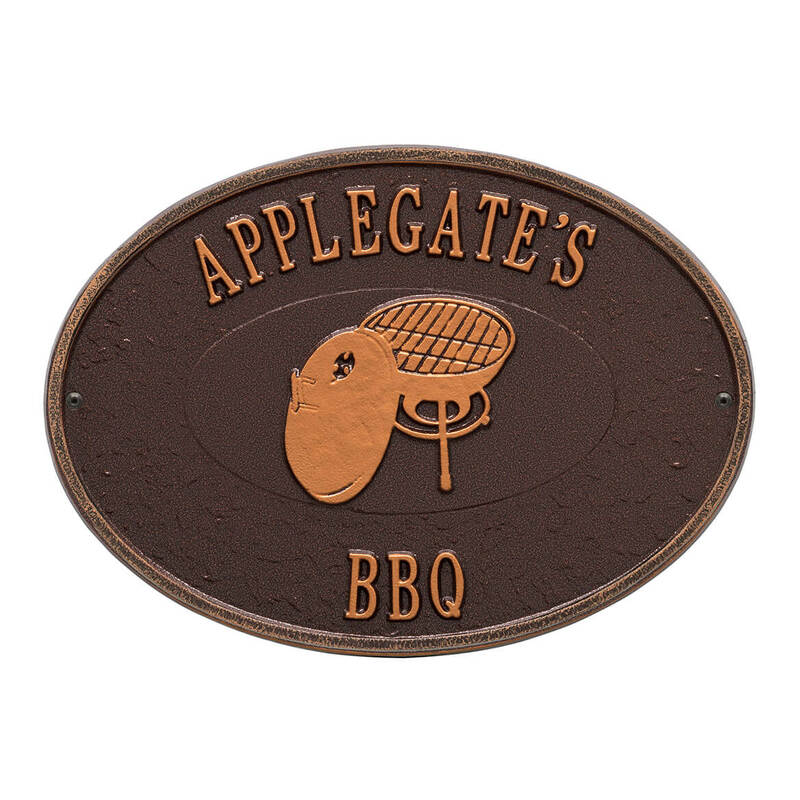 Add the perfect touch to the griller’s patio, deck or backyard with this personalized BBQ Grill wall plaque! Immediately upon arrival your guests will recognize it’s time to relax and enjoy the BBQ. Made from environment friendly recycled aluminum these signs are weather resistant and will outlast any party you can throw. Each sign is custom made in the USA to your specifications giving you the ability to create the perfect greeting for your guests. Keep the party going and order your custom BBQ Grill sign today! Manufactured from high-density cast aluminum alloy. Alumi-Shield™ Protects against the harshest weather and environmental elements. Extends the product life and maintains the look and function. Specify personalization: limit 2 lines/16 characters each.